Diageo, the world's largest spirits maker on Thursday took full control of South African beer maker United National Breweries by acquiring the additional 50 per cent stake in the company from Vijay Mallya-controlled Pestello Investments for an initial payment of $22 million. Diageo has entered into an agreement to acquire the remaining 50 per cent share of United National Breweries (UNB) interest in the company, thereby making it a wholly owned subsidiary, the company said in a statement. "Diageo will acquire this further interest from Pestello Investments Inc for an initial payment of $22 million and a potential earn-out payment of up to $14 million," the statement added. It further said that the transaction is 'conditional on consent from the South African competition authority', and it is expected to complete within the current fiscal. Diageo, which is also a major producer of beer and wine and owner of popular brands such as Johnnie Walker, Guinness and Smirnoff had in January 2013 acquired 50 per cent interest in UNB's traditional sorghum beer business in South Africa reportedly at $36 million. In 1996 Mallya's UB Group had acquired 30 per cent stake in UNB and later increased it to 100 per cent. In 2000, UNB had acquired beer business from Traditional Beer Investments (TBI), a subsidiary of South African Breweries. According to Diageo: "Once completed, this transaction will give Diageo control of the leading traditional sorghum beer business in South Africa, including the ability to make investment decisions to support the continued growth of United National Breweries’ brands in the sorghum beer category." 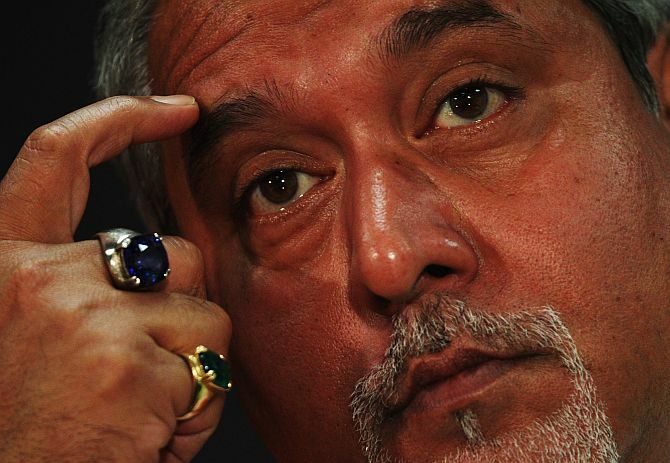 How will the defaulter tag play out for Mallya?